This is a hard article for me to write. As a born and bred New South Welshman, it’s been drilled into me from an early age that anything north of the Tweed is not worthy of my time. It’s a barren wasteland of cane toads, poor drivers, and banana benders that is best avoided by any sane man. This ingrained dislike is only heightened by the spectacle that is State of Origin. For three weeks of every year, New South Wales vs Queensland hatreds reach a near frenzied level as the two states do battle in three games of rugby league that bring the entire east coast to a grinding stand-still. The game – likened to the Superbowl or the Stanley Cup – captures the hearts and imaginations of most of NSW and QLD as the two teams tackle, fight, and brawl all in the name of bragging rights and state superiority. I’m sad to say that New South Wales has lost the last seven series. It’s been a rough almost decade for a proud sky blue. But it’s not just on the football field that the sunshine state has it over its more populated southern neighbour. I’m putting biases aside and putting together a list of five reasons why you should choose Queensland over New South Wales when you’re next touring Australia. New South Wales brothers and sisters, I’m sorry. It’s not the iconic city that Sydney is, nor is it the cultural hub that Melbourne has become – but Brisbane is not a city without its charms. 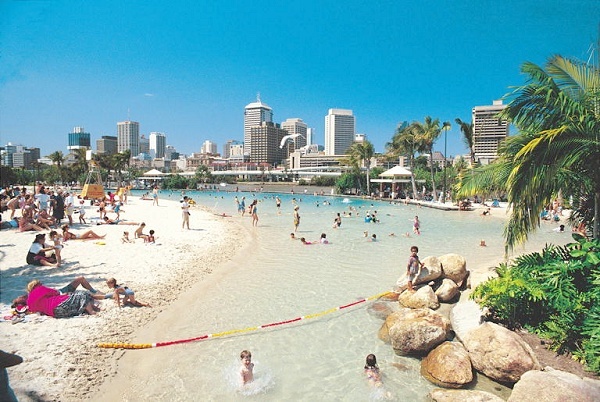 The artificial beach at South Bank in Brisbane is one of the city’s most endearing features. Cheap hotels in Brisbane make it an affordable destination in comparison to its pricier southern cousins, and there’s a real big city meets small town feel to the place. Whether you’re eating vegan in West End or wandering along the artificial riverside beaches of South Bank as the sun sets, Brisbane is a small town on steroids. While Brisbane’s beaches really don’t match up to those on hand in and around Sydney, it’s a short drive (or train ride) to some of the country’s best, and you”l be pleasantly surprised at how much cheaper everything is. A sports fan? Brisbane’s Suncorp Stadium (sometimes called Lang Park) is considered the best in Australia and regularly plays host to rugby, rugby league, and football (soccer). A day watching the Queensland Reds, Brisbane Broncos, or Brisbane Roar is a fantastic way to soak in Australia’s love of sport. Sport not your style? Like all major cities, Brisbane boasts museums and galleries as well as a number of quirkier options such as the annual Brisbane Zombie Walk. 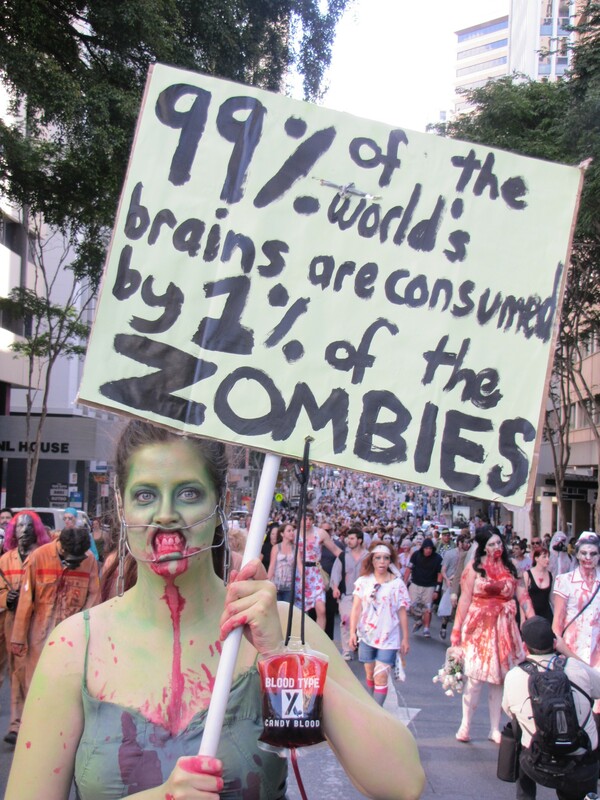 The Brisbane zombie walk is an unusual and fascinating Brisbane event. I was lucky enough to participate in 2011. The glittering jewel in Queensland’s crown, the Gold Coast is a strip of whitte sandy beaches, casinos, night clubs, and tourist traps that cater to everybody from the young to the young at heart. 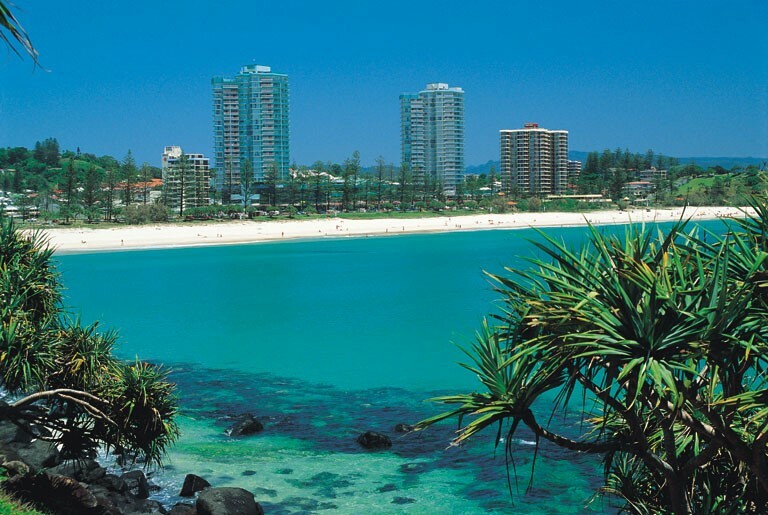 The Gold Coast’s iconic white sandy beaches are amongst the first things people think of when thinking about Australia. Australia’s theme parks (including Dreamworld) are situated here, as is Jupiter’s Casino – a playground for adults, and there’s no shortage of pumping night spots for the bump and grind set. While I don’t buy into the myth that the Gold Coast has the best beaches in Australia, they certainly aren’t to be sneezed at. If you can stomach the crowds, there are far worse places to be on a hot summer day. In my mind, Australia’s single greatest draw should be this stunning natural wonder. I was privileged enough to learn to scuba dive on the Barrier Reef, but that doesn’t in any way diminish my interest in a return visit. The brilliant colors of the Great Barrier Reef. Photo courtesy of Kids Britannica. Stretching down much of the Queensland coast, this gorgeous coral reef is perfect for snorkelling, scuba diving, or simple exploring in one of the many tour boats that launch out of towns such as Mackay, Cairns, Townsville, and Rockhampton. 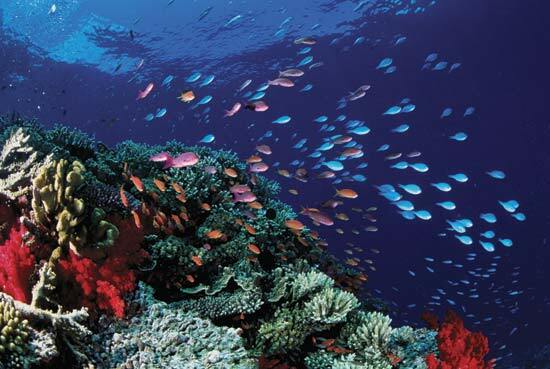 In my mind, if you only visit one place while in Australia, it should be the reef. If Finding Nemo didn’t convince you that the reef is one of the world’s most beautiful places, just do a quick Google image search. And if you’re still not sold – bear in mind that there’s every chance the reef will be gone by the time your kids are born. See it before it’s too late. 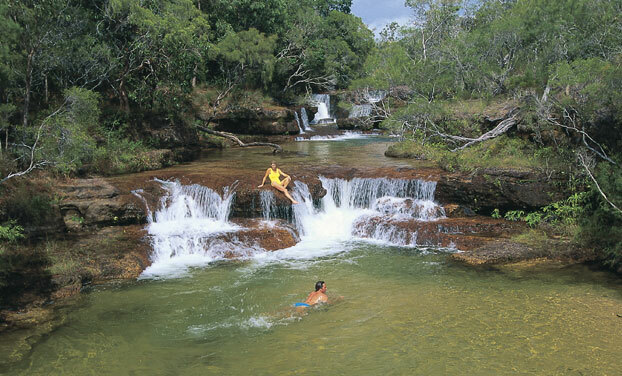 One of Australia’s last untamed tracts of wilderness, the Cape York Peninsula is a beautiful expanse of dense rainforest, tropical swamp, and verdant plains where exotic animals such as cassowaries and platypus can be spotted by lucky hikers. Colonial Cooktown is a quaint ‘city’ with a rich history and might well be one of Australia’s more isolated spots as wel. Don’t expect to find five star luxury or strips of tourist traps here. Much like Australia’s barren red center, this is something of a last frontier that too few experience but none forget. Exploring the rugged Cape York Peninsula is a must in any Australian itinerary. Just watch out for Salties! While 4WDriving is definitely the activity of choice in the region (despite being isolated, decades of tin mining in the area mean there are serviceable roads throughout), there’s also an abundance of Aboriginal culture to be explored and some world class bass fishing to be done as well. Is there any feeling sweeter than crossing out of the boon-docks and returning to civilization in New South Wales? Whether you cross on the coast or at the infamous Jennings-Wallangara border, you can almost feel the average IQ lift as you leave Queensland behind you and enter the land of culture, enlightenment, and women with all of their teeth. Come on, you didn’t think I could put together a list like this without having a jab at our old rivals, did you? A visit to Queensland is a staple in any tour through Australia, but for me, crossing back into New South Wales is always a sweet feeling. What are your favourite things about Queensland? Any hidden secrets or glaring oversights? Are there any similar state rivalries in your own country? I’d love to hear why your state of choice is better than its rival! What do you think of Kiri’s suggestions? I’m keen to try a few of them myself!